Sonia Rykiel will always be remembered as a woman who designed with the person in mind. A feminist, a pioneer and a revered fashion designer, her clothes remain eternally fashionable and effortlessly wearable. It’s therefore only fitting that her label lives on in its technicolour, trailblazing form. This International Women’s Day, Sonia Rykiel Paris is launching a unisex mini-me capsule collection with France’s most exciting children’s clothing website, MELIJOE.COM. What happens with you cross an iconic Parisian fashion label with the chicest of Parisian children’s clothing websites? Pure sartorial joy with a quintessentially French twist. Sonia Rykiel x MELIJOE is a colourful, fun-filled collection of kids clothes. 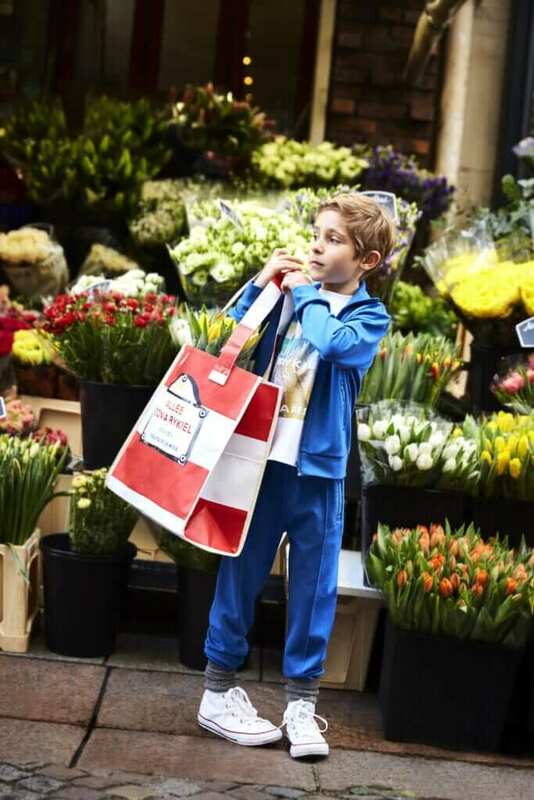 Channelling the utter delight of strolling around the capital’s arrondissements on a sunny weekend morning, the collection is designed for the stylish Left Bank flâneurs of the future. These clothes are for cool kids. From slouchy tracksuits to printed t-shirts, the collaboration celebrates the evergreen athleisure trend with alacrity. The cosy, oversized pieces are designed in a bright blue evocative of vintage French football kits. They’re fun. They’ve got a touch of retro about them with ‘Rykiel’ written on the backs of the collared sweatshirts and feature crease on the trouser leg. But most importantly, they’re the kind of clothes you can actually imagine children living their lives in. The kind of sweatpants that would probably look better with a bit of mud on the knee. These are the kind of garments that demand sneakers, a muddy field and a handful of pre-adolescent attitude. This collection is hardly surprising. When you really look at their histories, Melijoe and Sonia Rykiel are an obvious collaboration. From a shared ethos of unique, influential fashion to a love of forward looking technologies, it was always going to work. Founded in Paris in 2007 by a young mother named Nathalie Genty, Melijoe is the online one stop shop for all things kids fashion. It’s the Parisian vision and feminine ambition that she shares with Rykiel.